Urie gets his friend Reli of the Celestial Mates agency to find him a mate. The only thing is that Reli�s agency uses some methods that probably would not be accepted in certain cultures, such as bidding. Getting adjusted to her new life is hard for Samantha. Urie has to keep on planning how to defend his own people against the enemy, X, and he soon learns of a possible traitor amongst his own may even go all the way to the top of his most trusted generals and captains. 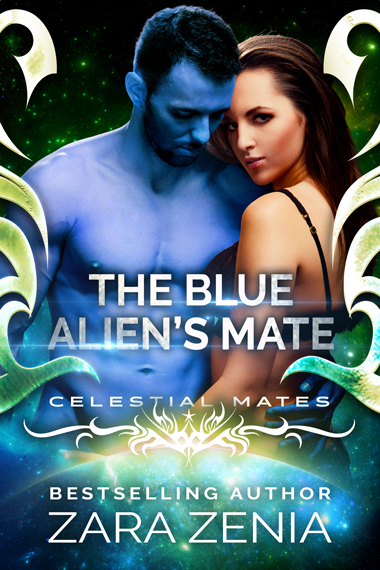 The Blue Alien�s Mate is part of the Royally Blue - Celestial Mates series and is a full-length science fiction romance novel. There are NO cliffhangers, NO cheating, and a guaranteed happy ending!